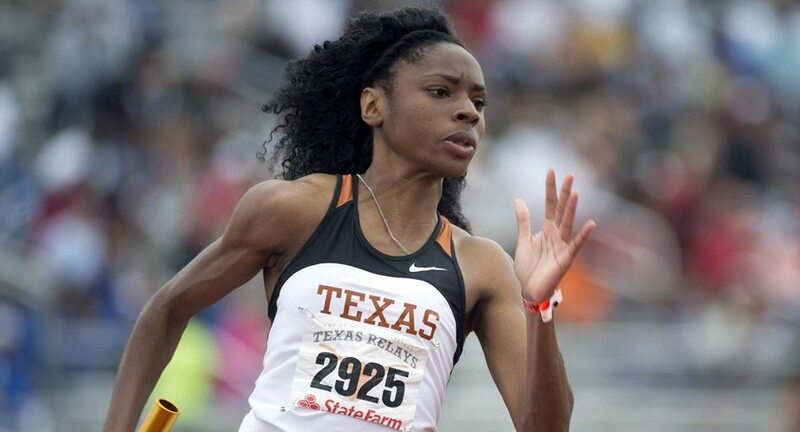 Texas sprinter Courtney Okolo won the Bowman Award, which is given annually to the top men's and women's track and field athletes in the country (photo courtesy of texassports.com). ORLANDO, Fla. — University of Texas sprinter Courtney Okolo is about as dominant as an athlete can be, having etched her name permanently on the lists of the nation’s top track and field athletes and the greatest in her sport in UT history. She capped off her extraordinary 2016 in the only appropriate way Friday when she was named the winner of the Bowerman Award, which is given annually to the nation’s top track athlete.